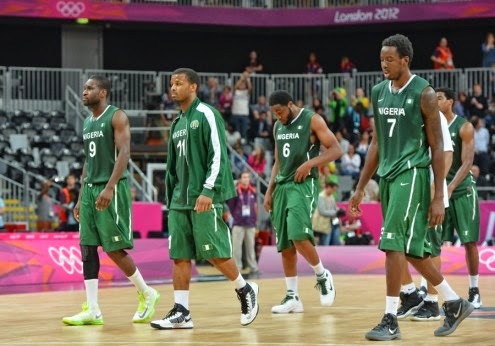 All is not well with the National senior men’s basketball team, D’Tigers as the team will be without the service of one of the top players, Onyeka Okeke who sustained serious injury during yesterday’s training in Abuja, Complete Sports can exclusively report. against Burkina Faso on Saturday but the point guard has been ruled out of the encounter after medical staff confirmed he would not be able to take active participation in the match. According to Complete Sports source in D’Tigers camp, the player was made to go through scans where it was discovered that he had a broken bone, hence, would not be able to play the match as the team departs the country’s shores on Friday for the match. Coach Sani Ahmed who will lead the team to Burkina Faso on Friday would have to make do with other players but the Kano Pillars coach is not in any way happy with the development which threw the entire team into confusion yesterday. Meanwhile, former NBA star Olumide Oyedeji who also spoke to Complete Sports yesterday ahead of the match said it is a priority for Nigeria to qualify for the African Basketball Championship billed to hold in Tunisia. “Senegal are already out and more big teams could go the same way but for us to be part of the main tournament, we must work hard and give our best to make sure that we win all the games we are going to play in the qualifiers”, Oyedeji says.